The Christian Benoit Association was founded on 26 April 1999, in memory of Christian Benoît, a researcher in the field of speech communication. 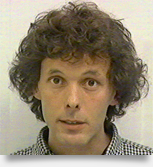 Before his death in April 1998, Christian Benoît had carried out most of his research on speech synthesis and audiovisual speech processing at the ICP in Grenoble. The purpose of the Association is to support projects that help to promote and develop research in the field of speech communication, essentially through the Christian Benoît Award. This prize, valued at 7500 Euros, is periodically awarded to young researchers in the field of spoken communication. Its purpose is to provide financial support for the development of multimedia projects, such as web sites or CD-ROMs, that are designed to promote the work of these young researchers. Till 2017, the award was delivered by the Christian Benoit Association and supported by the GIPSA-Lab, the International Speech Communication Association (ISCA) and the Association Francophone de la Communication Parlée (AFCP). From 2018, the Christian Benoit Association is now longer active and the award is conferred by ISCA and AFCP. gives an overall view of the state of the art in the particular research domain. The proposed research project can take on the form of a demonstration, a technical product/system, or of a pedagogical multi-media product (movie, website, interactive software…). to present her/his results at a future ISCA-endorsed event, specific to the research domain of the applicant. a detailed curriculum vitae including a list of the most relevant publications for the project. a description of the proposed short-term research project (5 to 15 pages max). The description should include a presentation of the scientific and/or pedagogical objectives and the methodological aspects, a link to the former research work of the applicant, and a detailed description of the provisional budget. Applications will be evaluated by an international committee including experts in the field of Speech Communication and representatives of the institutions supporting the award. (*) 3,500 Euros will be given immediately; with the remaining 4,000 Euros available on reception of the multi-media project by the chair of the ISCA Award committee. Travel and registration costs necessary to attend the Interspeech 2019 Conference will have to be paid from this grant.